Launch Date: Nov. 19, 2006, in the United States. Size: About 8.5 inches long, 6 inches wide and less than 2 inches thick (157mm x 215.4mm x 44mm). 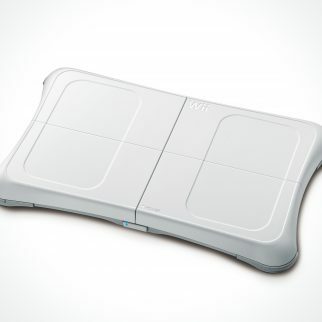 Wii weighs 2.65 pounds. 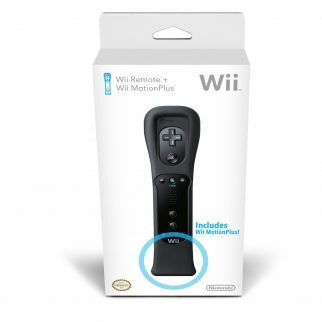 What’s Included: One Wii Remote™ controller with a Wii Remote Jacket, one Nunchuk™ controller, Wii Sports™ (a collection of five games: baseball, tennis, golf, bowling and boxing), sensor bar, power cord, standard composite cable, stand. 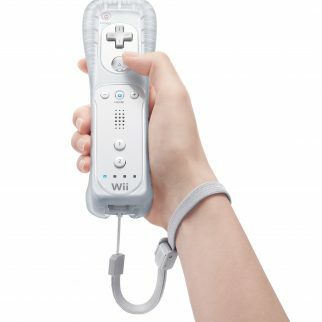 Controls: Intuitive control for anyone using the physical motion of the Wii Remote, which resembles a television remote control. 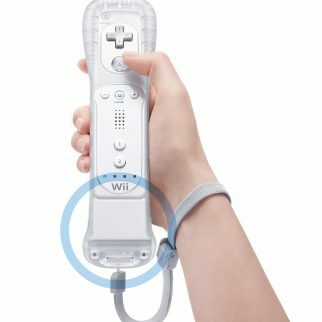 Up to four Wii Remote controllers can be connected at once using wireless Bluetooth technology. The wireless signal can be detected within 10 meters of the console. 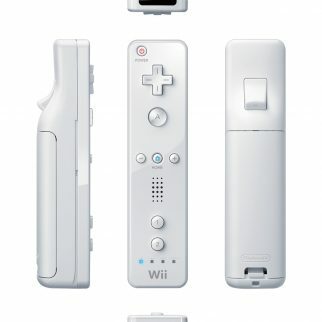 Both the Wii Remote and Nunchuk controllers include motion sensors. 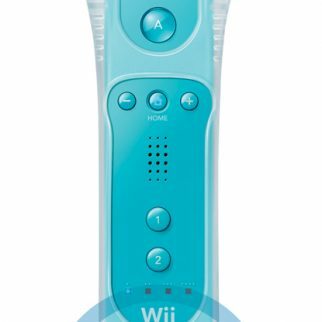 The Wii Remote controller also includes a speaker, rumble feature and expansion port, and can be used as a pointer within five meters of the screen. 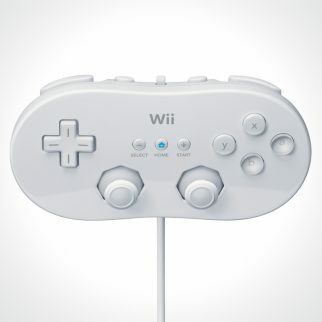 The Wii Remote controller has a power switch, + Control Pad, A, B, Minus, Home, 1 and 2 buttons. 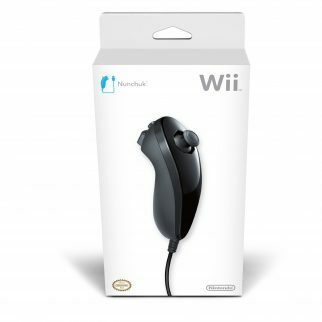 The Nunchuk controller includes an analog control stick and C and Z buttons. 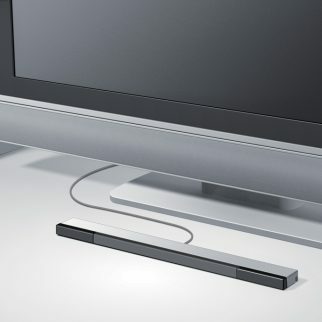 The Look: Wii features a compact design that makes it a natural addition to any television setup. It can be displayed either vertically or horizontally. Media: A single self-loading media bay plays single- or double-layered 12-centimeter optical discs for the Wii console, as well as 8-centimeter Nintendo GameCube™ discs. Channels: The Wii Menu is the main gateway for a variety of easy-to-use, interactive multimedia, entertainment and communication functions. 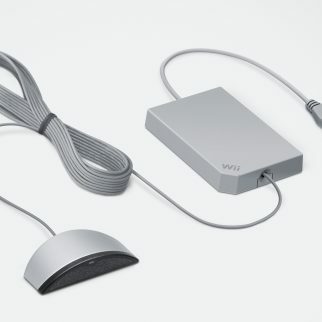 Communication: If users have a broadband Internet connection, Wii can communicate with the Internet even when the power is turned off. The WiiConnect24™ service can deliver a new surprise or game update, even if the console is idle. 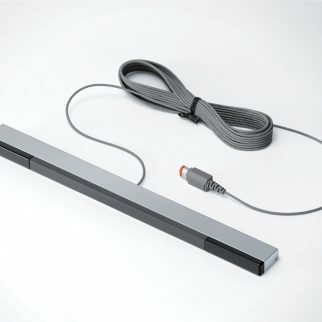 The Wii console can also communicate wirelessly with the Nintendo DS™ and Nintendo DSi™ systems. WiiWare™: Located in the Wii Shop Channel, the WiiWare downloadable game service lets Wii owners with a broadband Internet connection download new, creative games from a wide range of developers, from large publishers to indie shops. 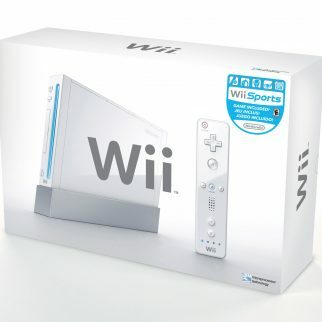 Wii Points™ are required for downloading software. Wii Points can be purchased in the Wii Shop Channel. A Nintendo Points Card™ can be purchased at retail locations and redeemed in full in either the Wii Shop Channel as Wii Points, or in the Nintendo DSi Shop as Nintendo DSi Points. They are not transferable and cannot be divided between the two systems. Virtual Console™: The Wii console has downloadable access to 20 years of fan-favorite titles originally released for Nintendo 64™, the Super NES™ and the Nintendo Entertainment System™. The Virtual Console section of the Wii Shop Channel also features a selection of games from the Sega Genesis™, Sega Master System, NEOGEO, TurboGrafx16™, TurboGrafx-CD and Commodore 64 consoles, as well as classic arcade versions of select games. Wii Points are required for downloading software. Wii Points can be purchased in the Wii Shop Channel. A Nintendo Points Card can be purchased at retail locations and redeemed in full in either the Wii Shop Channel as Wii Points, or in the Nintendo DSi Shop as Nintendo DSi Points. They are not transferable and cannot be divided between the two systems. 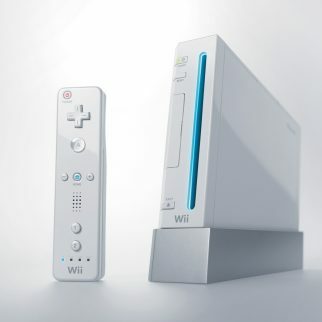 The Specs: The Wii console has 512 megabytes of internal flash memory, two USB 2.0 ports and built-in wired and wireless broadband Internet capability. A bay for an SD memory card (or High Capacity SD card – both sold separately) lets players expand the internal flash memory and launch downloaded games directly from the cards. Design is optimized with state-of-the-art processing technologies that minimize power consumption, keep the console quiet and compact, and enable the “sleepless” WiiConnect24 mode. 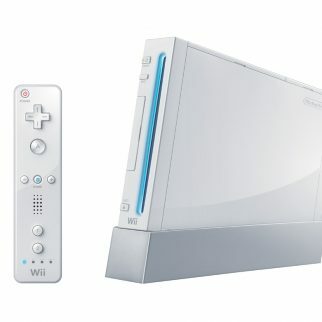 Parental Controls: Wii features easy-to-use parental controls that allow users to manage access to Wii game software based on the ESRB rating, restrict access to various channels, limit the ability of users to send and receive messages or prohibit the use of Wii Points in the Wii Shop Channel. CPU: PowerPC CPU (code-named “Broadway”) jointly developed with and manufactured by IBM. Graphics Processing Unit: Developed with ATI/AMD. Region Encoding: Wii is region encoded, as is first-party software. 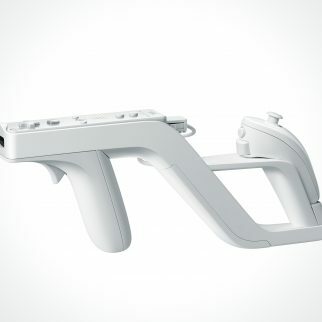 Other Features: Four ports for classic Nintendo GameCube controllers. Two slots for Nintendo GameCube Memory Cards. An AV Multi-output port for component, composite or S-video.